Weddings are the extremely stressful situations and here everything has to be perfect otherwise the bride and groom will remember it forever and it will be always a constant thought in their mind that their wedding didn’t go perfectly. So to avoid that there are certain things and certain responsibilities that needs to be performed well. Here are certain dos and don’ts about the flower girl dresses that the mother of flower girl or whoever is buying the dress of flower girl needs to know. · While coming from home let the flower girl carry the cardigan she likes and feel comfortable in and also the one that matches her dress. Weddings usually are in the outdoor and if the wind is too chilly the flower girl will feel uncomfortable so having a cardigan will mean you have a backup plan for that dress and we will look utterly beautiful in a dress with a cardigan even if the wind does get chilly enough for her. · Pairing the dress with nice and comfortable flat shoes is a great idea. Making your daughter walk in those shoes to know if they are comfortable is very important while buying shoes and make sure the shoes match the flower girl dress. With the ivory flower girl dresses some boots or any other off white shoes will look great and of the dress is not completely white then you can match it with another colour in the dress. 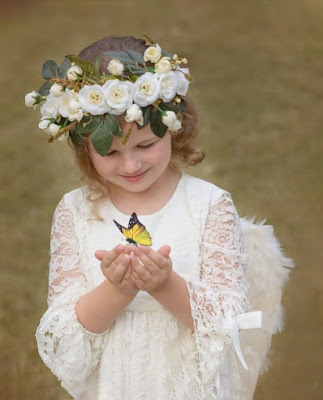 · Most of the people are afraid of buying the flower girl dresses online but if you can’t find the right size, buying the dress online is your only option and there are amazing online wedding stores that you can visit and buy some quality stuff including the flower girl dress. · Buying floor length dresses might look cute in your mind but it will be completely uncomfortable for the flower girl and even though you want your flower girl to have the exact replica of the bridal lace dress but there are pretty sure some short or tea length lace flower girl dresses that can match with bridal dress and your flower girl will be comfortable to walk in them too. · Don’t buy the flower girl dress too early since children are in their growing phase and they will grow out of it. Even if you have to buy you can buy a dress in one size bigger. · With kids, the fabric is of great importance to choose the fabric that will be comfortable for them and being a mother you will know which fabric your daughter doesn’t feel comfortable in. These are some of the things you need to do and don’t while buying flower girl dress.